Sometimes I take this blog too seriously. 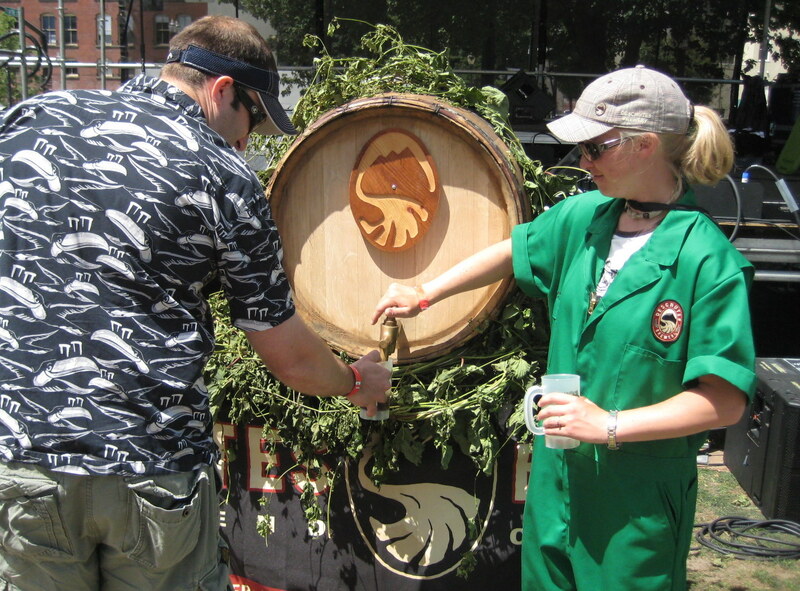 I almost didn't post this followup to the 2010 Oregon Brewers Festival, so as not to waste your time with my untrustworthy three-word reviews of beers at the festival, and also because the burgeoning number of Portland beer bloggers have already covered it better than I will. But that's the wrong attitude, because it should always be a glorious waste of time to read It's Pub Night, and next year I want to be able to ask Google what I liked at this year's OBF. Therefore, I present you with the following time-wasting report. Gee, do you suppose I am a hophead? The number on each line is my 1000-point ranking system. Don't think of it as a letter grade, or you'll find me to be a very lenient grader. It's just my way of being able to try and order my preferences on the fly. Those are all beers from the general festival. The Buzz Tent also had many awesome beers -- you couldn't catch all of them, but I really enjoyed Oakshire's Pinot barrel-aged Old Ale, Vertigo's Friars Gone Wild, and Surly's Coffee Stout. In the middle were plenty of enjoyable beers. And some good beers that I forgot to take notes on. And lots of beers that I didn't get around to trying. There, wasn't that a pleasant waste of time? When was the Surly Coffee Stout going at the tent? The guy I met from Surly was telling me it's one of the best things they've produced but I never caught it on the whiteboard. Ben: I had it Friday afternoon around 3 or 4. It was tasty, I had more than one. Was that Bruery's Saison Rue? Or a different saison? I just had a bottle of their Saison Rue and it was fantastic. @Shawn: Nope, it was called "7 Grain Saison". I've had some lovely things from the Bruery, that's probably why I (and others) panned it so fiercely.